Patricia joined Watsi on March 12th, 2013. 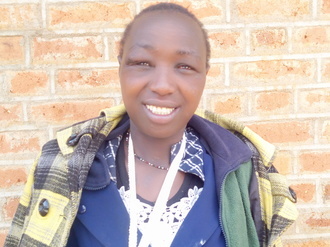 Four years ago, Patricia became the 637th member to automatically support a new Watsi patient every month. Since then, 4,439 more people have become monthly donors! Patricia's most recent donation traveled 8,700 miles to support Arold, a boy from Tanzania, to fund orthopedic surgery. Patricia has funded healthcare for 58 patients in 12 countries. Seng is a grandfather of twelve from Cambodia. He has three daughters, four sons, and twelve grandchildren. He is a retired rice farmer. He likes to listen to monks pray on the radio. 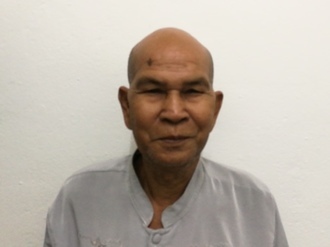 Two years ago, Seng developed a cataract in each eye, causing him blurry vision, and photophobia. He has difficulty seeing things clearly, recognizing faces, and going anywhere outside. 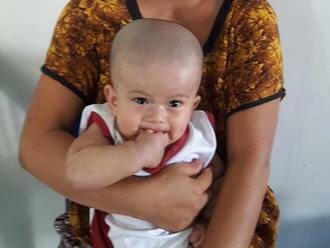 When Seng learned about our medical partner, Children's Surgical Centre, he traveled for five hours seeking treatment. On December 10, doctors will perform a small incision cataract surgery and an intraocular lens implant in each eye. After recovery, he will be able to see clearly. Now, he needs help to fund this $398 procedure. His daughter says, "I worry about my father's failing vision and about him going outside on his own." Ka Buh is a 13-year-old boy from Burma. He lives with his parents and older brother. His family members are farmers. On May 28, Ka Buh slipped, and stones fell onto his left leg and chest. The stone on his leg was very heavy, and he sustained a fracture. Currently, he is in a lot of pain and he is unable to walk or sit properly. With the help of our medical partner, Burma Children Medical Fund, Ka Buh will undergo surgery to reset his fractured bones and ensure proper healing. The procedure is scheduled for June 29 and will cost $1,500. After surgery, Ka Buh will be able to walk again.